Looking for new compositional approaches and challenging musical conventions through the synthesis of a wide spectrum of contemporary and ancient styles is what inspired my composition. I have been inspired in particular by Béla Bartók and Arnold Schoenberg to develop a personal vision as a composer. Israeli-Australian composer and improvising pianist Dr Yitzhak Yedid has been acclaimed as one of the world's leading composers of the Third Stream (Bailey, AAJ 2006). A master pianist and shrewd composer, he has multiple awards to his name, including the top two prizes for composers and performers in Israel. In 2009 he received the Landau Prize For the Arts and, in 2006, the prestigious Israel Prime Minister's Prize for Classical Composers. Yedid was born in Israel in 1971 and calls Australia home since 2007. In August 2017, Yedid won the 2017 Sidney Myer Creative Fellowship, worth $160,000 over a two-year period. In 2007 Yedid won the first composition prize for a work for solo harp at the 17th International Harp contest - this led to numerous performances of the piece worldwide and to two commercial recordings. His trio composition Oud Bass Piano Trio was nominated for Germany's prestigious Echo Award in 2009 (accolade by the Deutsche Phono-Akademie to recognise outstanding achievement in the music industry). His album Arabic Violin Bass Piano Trio, was nominated for the 2013 Australian Bell Awards. Yedid has been the composer in residence at the Judith Wright Centre (2009) and at the Western Australian Academy of Performing Arts (2008). Inspired by literature, philosophy, art and landscapes, Yedid's compositions form a narrative of pictures, textures and colours. His music incorporates a wide spectrum of contemporary and ancient styles and creates a unique integration between improvisation, Arabic genres and contemporary Western classical music. A confluence between the Maqamat (the Arabic music modal system), heterophonic textures of Arabic genres and compositional approaches of jazz and contemporary Western classical music have been created to produce an original sound. Ake Holmquist (Norra Skåne, Sweden) wrote, 'Yedid integrates specific stylistic influences into a personal created unity. The manner in which he describes folkloristic influences and melancholic specific themes can remind of Béla Bartók; improvisatory float of hovering à la Keith Jarrett'. Yitzhak Yedid has performed at the Carnegie Hall in New York and at the Jordan Hall in Boston. He has performed his compositions with many ensembles in festivals and venues across Europe, Canada, the USA, Asia and Africa. Eleven CDs of Yedid's compositions have been released by prestigious international publishers and distributers including Challenge Records International, Sony, Naxos, -btl-, Muse, MCI and Kaleidos, and more than 300 reviews of his work have been published in the international music media. His latest CD was an award nominee for the Most Original Australian Jazz Album in the 2013 Australian Jazz Bell Awards. 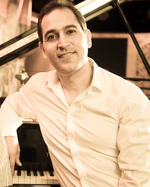 Dr Yedid has been based in Australia, teaching and mentoring university music students, since 2007. Currently, Yedid lecturers at the Queensland Conservatorium Griffith University. Kiddushim & Killulim (Blessings & Curses) : for chamber orchestra (2017) Commissioned by Christian Lindberg, Israel Netanya Kibbutz Orchestra. Chad gadya (One little goat) : quartet for clarinet, violin, violoncello and piano (2017) Commissioned by Stradbroke Chamber Music Festival. Concerto for Piano and Strings (piano with string orchestra) (2016) Commissioned by Michael Kieran Harvey, Tel Aviv Soloists Ensemble. The crying souls : Lament for mixed choir a cappella (2014) Commissioned by The Australian Voices. Delusions of War : for 22 string soloists or string orchestra (2014) Commissioned by Divertimenti String Ensemble.